Hello my lovelies, I have a story to tell you! I learned two things last night. 1. I overreacted… perhaps slightly..
My head whipped around so hard I nearly gave myself whiplash. I have gray hairs now. I can handle this. In other stories.. have you had Garlic Noodles yet? If no, where have you been! It was made famous by the An family of Thanh Long, Crustaceans and their many other restaurants. Mama An would make her famous noodles in a secret kitchen, never allowing employees or cameras to enter, thus the mystery was born. Now the question is.. what is this!? It looks like Midnight Spaghetti (Spaghetti Aglio E Olio), an easy concoction of spaghetti, butter, olive oil and garlic but no.. no.. it can’t be that because the taste is completely different. 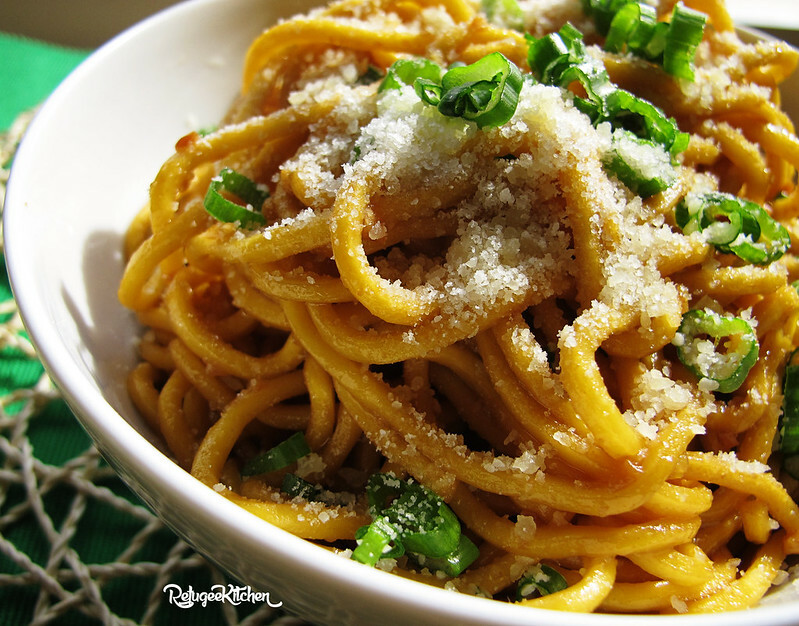 It seems simple at first, thick noodles slathered in garlic butter with asavory snow cap of salty Parmesan cheese and lets not forget those perfectly mild onion-biting scallions on top. It’s so simple but there’s a complex taste that everyone is trying to figure out. Some think the magical flavor comes from Maggi Seasoning Sauce, which funny enough, I just only learned wasn’t Asian! It was developed in Switzerland. With all great foods, there will always be a rival and I am not a Maggi fan. 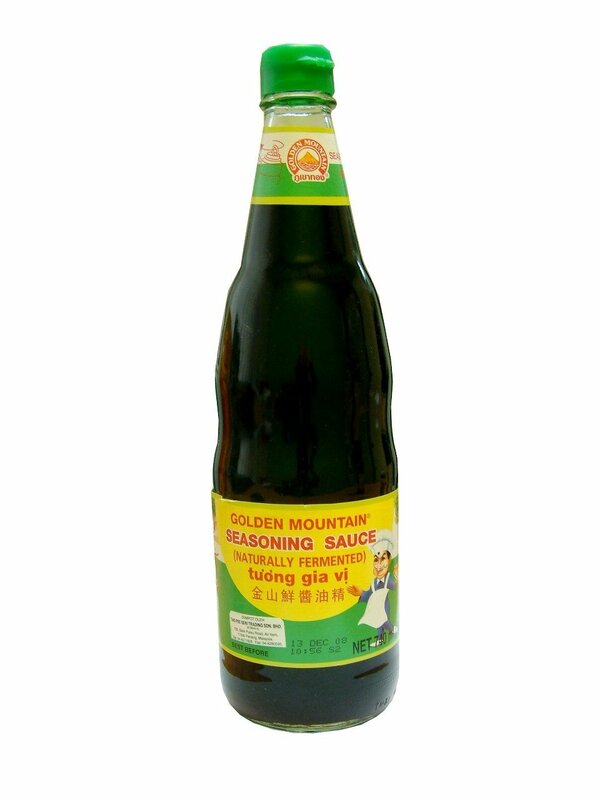 Oh I’m sure it’s delicious but when it comes to Seasoning Sauces.. I’m a total Golden Mountain Seasoning Sauce girl. It’s what I grew up with, it’s what soaked into my rice and eggs in the mornings, it’s still what I reach for when I want a salty kick. This was our soy sauce though funny enough a few years ago, my brother-in-law unceremoniously told my sister that it wasn’t in fact soy sauce at all but a “seasoning sauce”. My sister immediately called me with betrayal and hurt in her voice when she told me what she had been told. I broke the news to her, no.. it’s not soy sauce. But it is, it will forever be our soy sauce. In making this, I couldn’t use Maggi, we’ve never bought Maggi and have never had it in the house, it was Golden Mountain all the way and I think it’s a fantastic addition! Now let’s talk noodles. 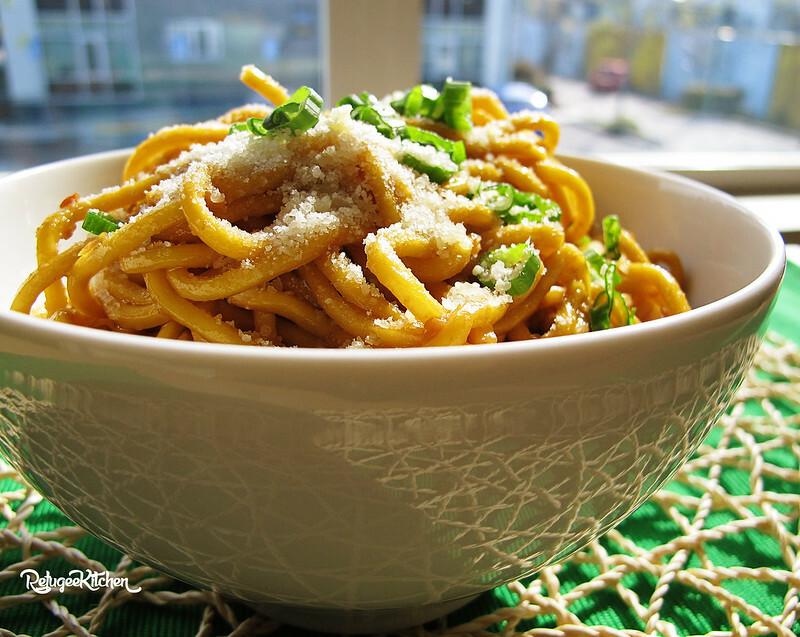 I’ve seen many recipes that says it’s ok to use dried spaghetti or any other dried pasta. I’ve even had one served to me using linguine. I’m not into it. 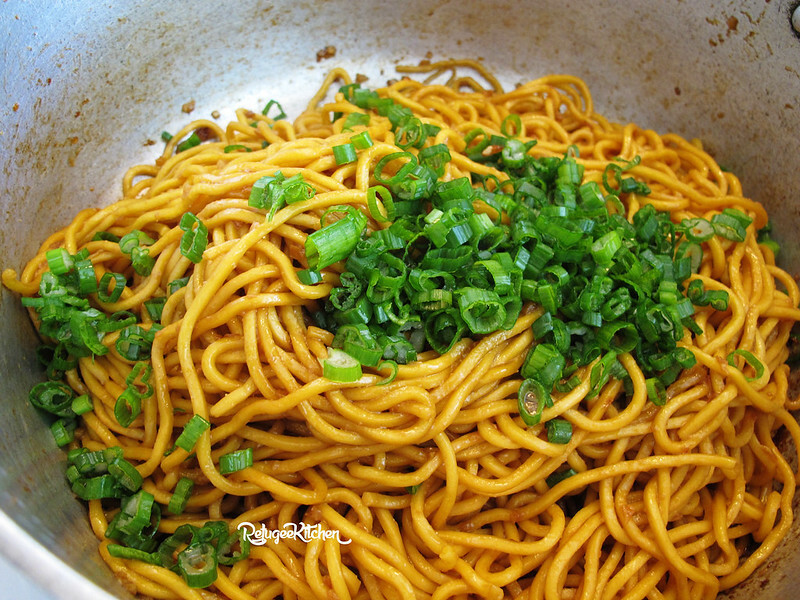 To me, this is an Asian dish and being so, we should use the proper noodles(great read on Asian noodles here). So far the ones I’ve liked best are the thick Lo Mien style noodles. These thick, dense noodles have a soft chewy texture when cooked and are hearty enough to stand up stir frying and chunky ingredients. 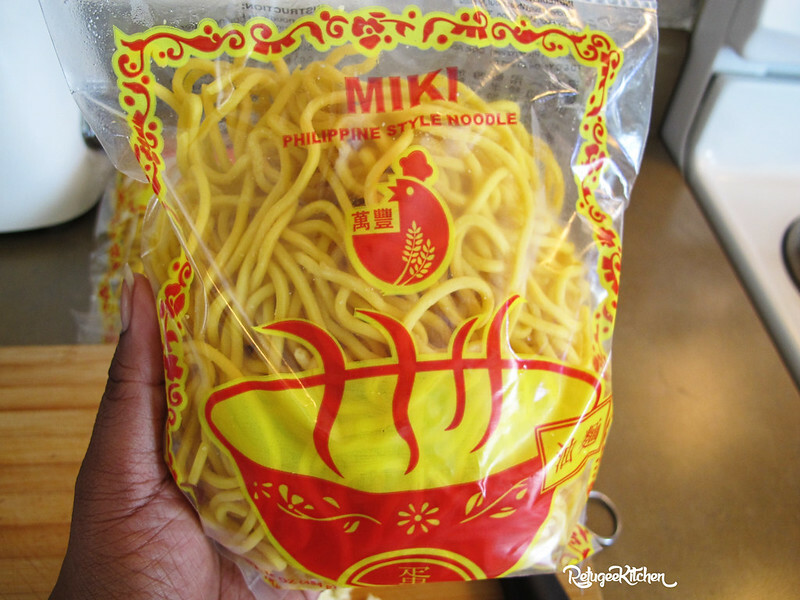 I used this variety of Pancit Canton, which is the Filipino equivalent to lo mien, because I like this particular brand. I prefer fresh over dried and if you can get the fresh.. GET THE FRESH! I’ve made this for friends and they all seem to like it! You can find garlic noodles at almost every Vietnamese cross over restaurant and I’ve tasted many of them. 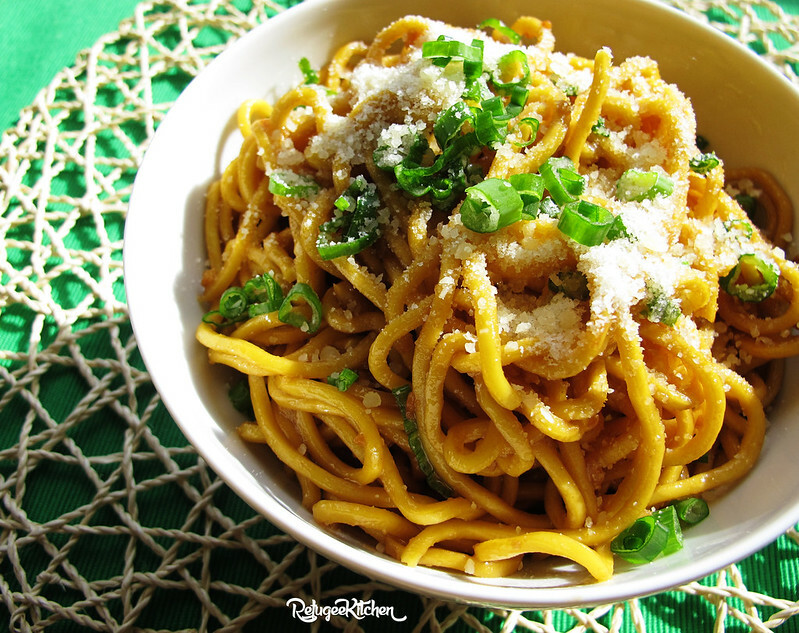 There are many recipes for garlic noodles and just as many copy cats of the famous An’s Family recipe. I won’t say mine is a copy cat, I’d say it’s just an easy tasty garlic-y noodle recipe that I hope you’ll try soon! 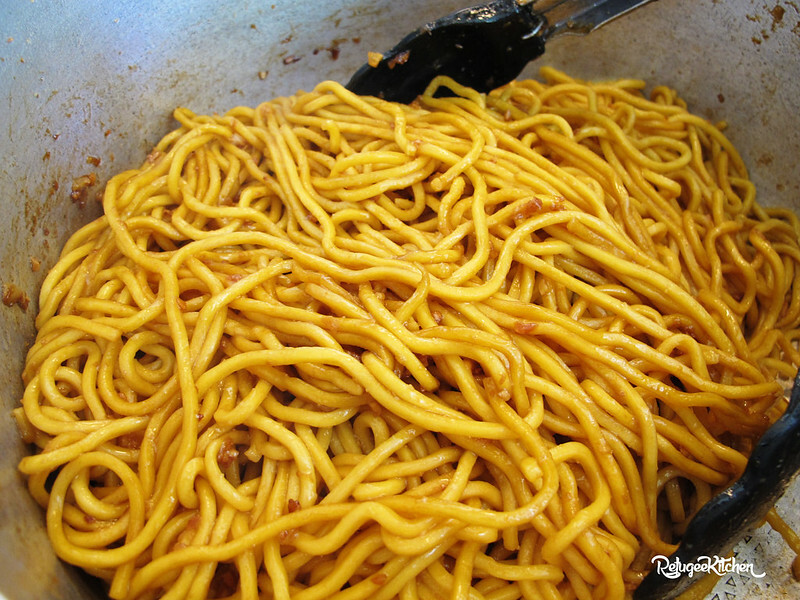 1 lbs Lo Mien Noodles, cooked according to package, reserve a bit of pasta water as well. 3 tbsp Unsalted Butter, organic grass-fed if you can. 1. 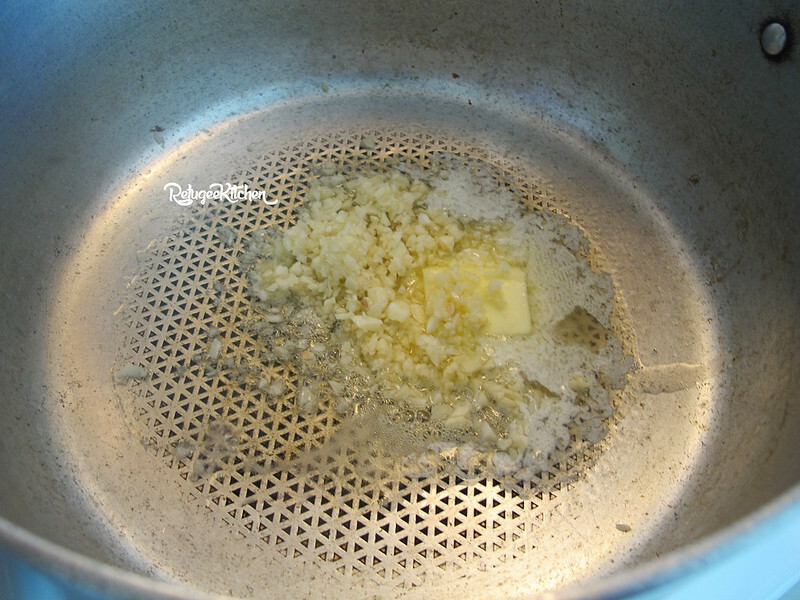 Over medium-low heat, add garlic to butter and olive. Careful not to let the garlic burn or brown too quickly. 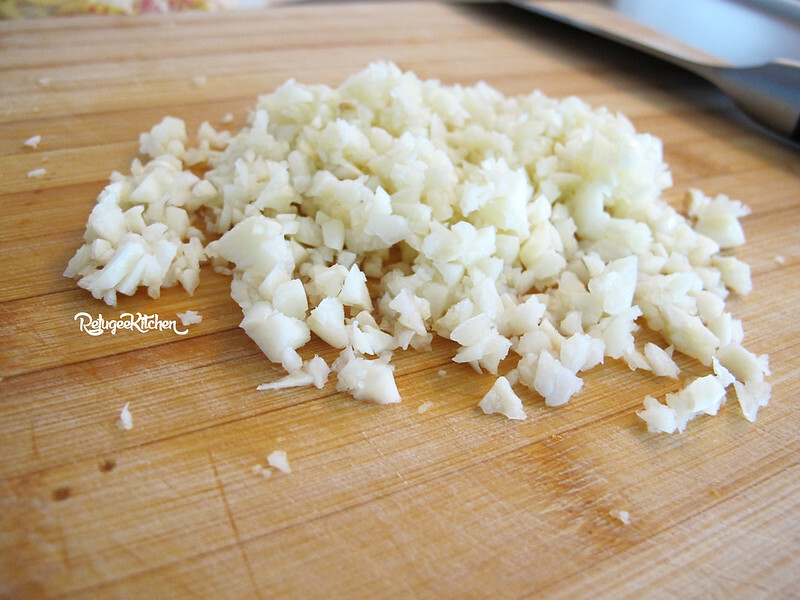 Cook until garlic starts to brown about 3 mins. 2. 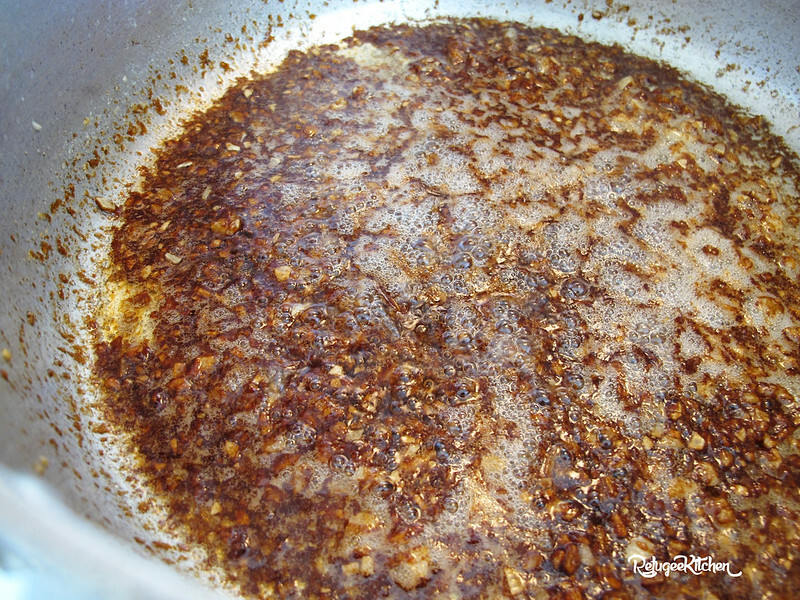 Add bouillon, garlic powder, oyster sauce and kecap manis. Cook together 1 min. Rest assured, that garlic is not burned! It’s just the brown coloring from the sauces! 3. Turn off heat, add noodles and toss to coat. 4. Add Golden Mountain to taste, I usually go about 1 tbsp. 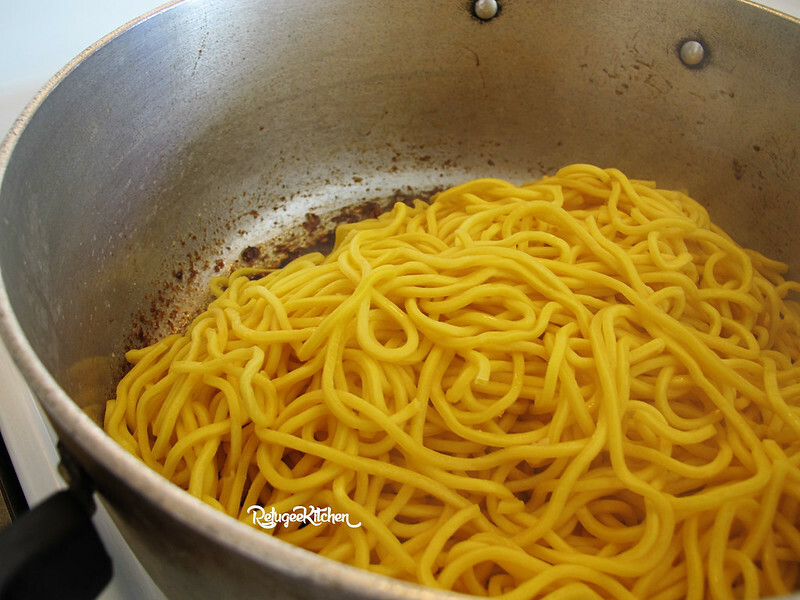 If needed, also add a few tablespoons of reserved pasta water if noodles are dry. 5. 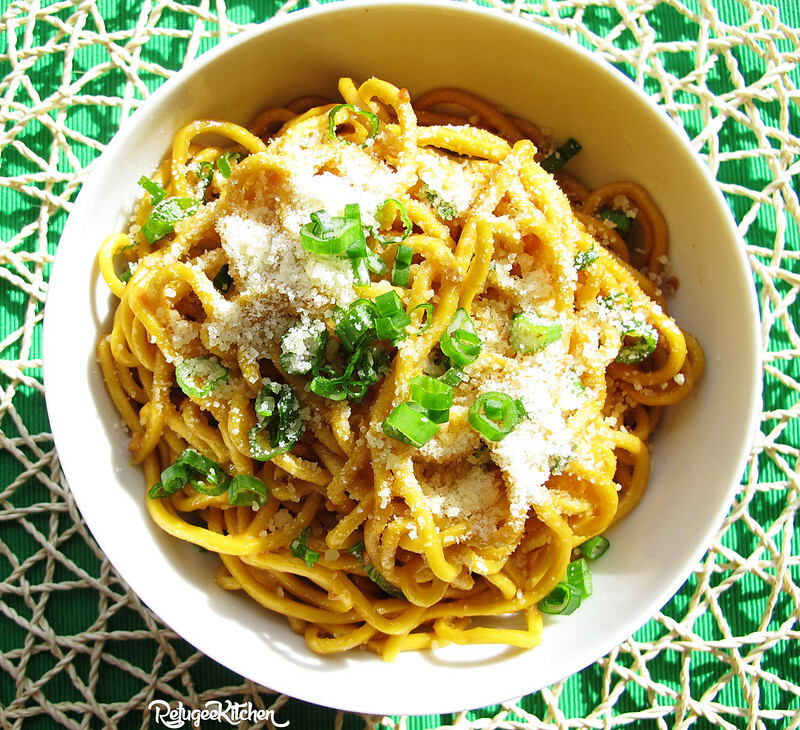 Top with Parm cheese and scallions. Thanks Kathy! Let me know when you do and how it went! Lol!! Awww I wish I could! I have friends and family in various places who miss some of my cooking! I should research how to cold ship things!